Exceptional car restorations demand authenticity and attention to detail. Many of the most incredible automobiles ever built featured the unique option of double whitewall tires, with a whitewall sidewall on both the inside and outside of the tire. 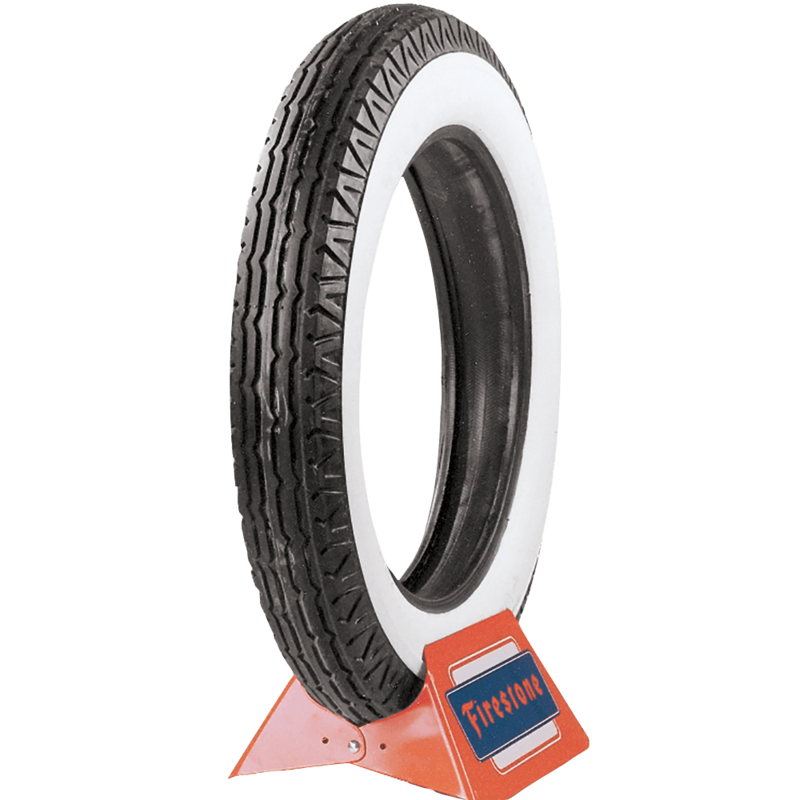 Firestone double whitewall tires are made in original molds to maintain authenticity and feature genuine whitewall construction throughout the tire carcass. 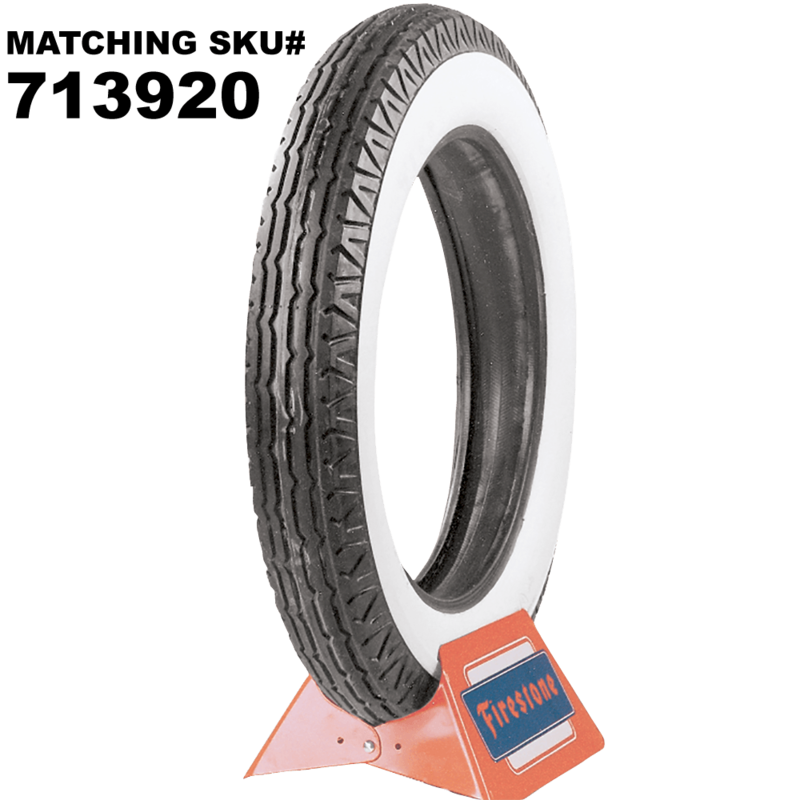 Firestone offers the world's best selling line of vintage bias ply tires. Authentic Firestone lettering embossed in the whitewalls where applicable, and these tires are DOT and ECE (European Community) approved where applicable and backed by our life of the tread warranty. Coker Tire Company of the world's leading supplier of classic car tires and wheels and trusted by automobile restorers everywhere. Exact tread pattern may vary slightly on some sizes. 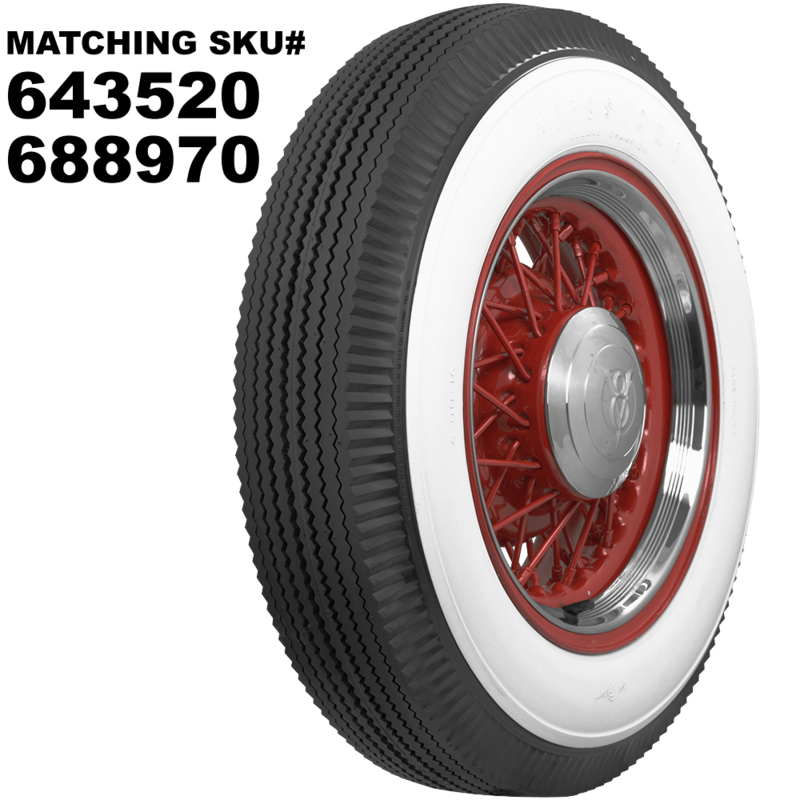 These tires are grouped together because they have double whitewall sidewall design (inside and outside sidewall are genuine whitewall construction). 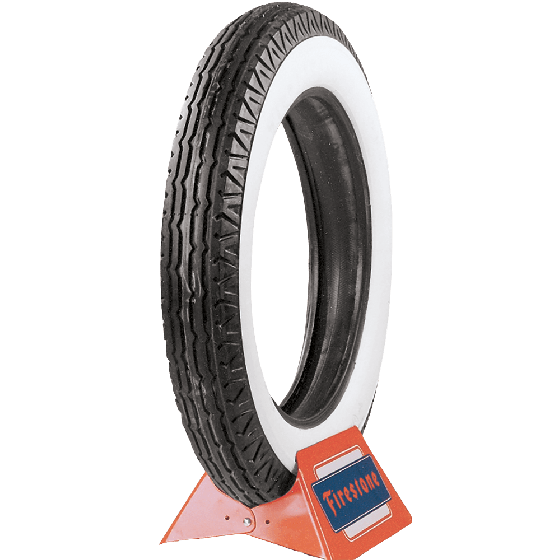 Please consult the product images and part numbers in the specifications for more detailed descriptions of speak to a Tire Expert for assistance with your fitment. The 550-18 listed here is typically what we offer for Shay Model As. 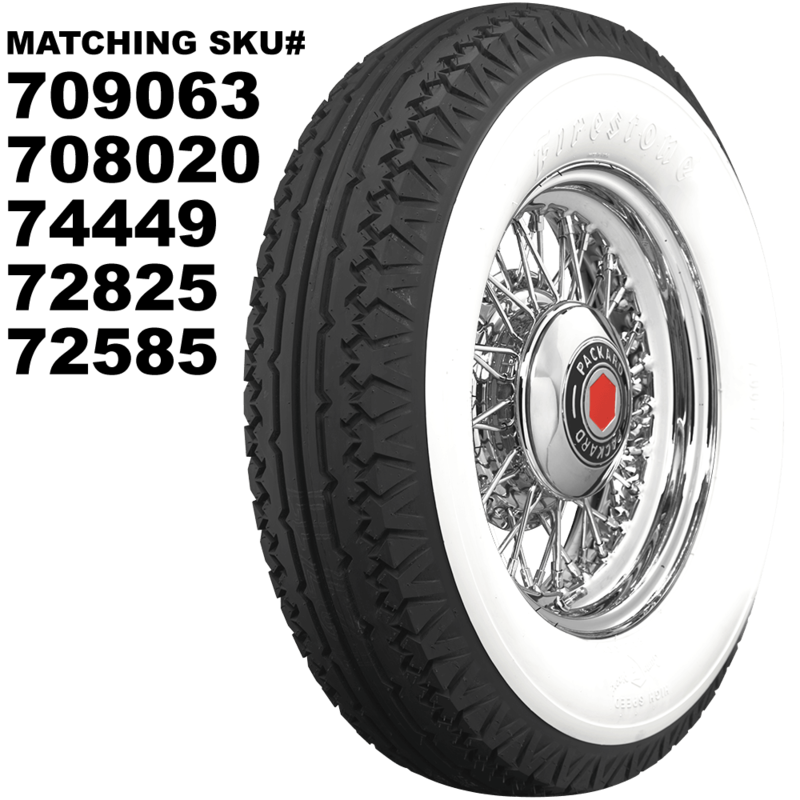 We carry a single, wide whitewall 650-20 tire here. See "other stuff" there on the same page for tubes, flaps (tube protection) and cleaning products.